Every year, the EWEA Annual Event takes on a new theme that fosters progress and industry growth. EWEA 2013 will focus on providing participants with real opportunities to help them find the real growth. Emerging wind energy markets is one such opportunity. With a strong knowledge base for Europe’s established wind energy markets already in place, it is time to look further afield, towards the emerging markets where undiscovered wind energy potential lies. EWEA 2013 Annual Event brings together international companies, industry experts, policy makers and research communities, providing an excellent platform to discuss the future of wind energy and its growth markets. A focused emerging markets workshop looks at the opportunities and challenges for wind energy in the eastern European and emerging markets on Tuesday 5 and Wednesday 6 February 2013. For participants who are interested in finding out more about the current situation and regulations in other international markets, they can visit the national associations on the exhibition floor. As well as leading companies from developed markets, the exhibition floor will accommodate a wide range of companies from countries like Turkey, Poland, Austria and Ukraine. The conference programme includes several sessions housing practical case studies from companies active in central and eastern Europe, second wave and mature markets: Emerging Central and European Markets (5 February 2013), Challenges in mid-size markets (6 February 2013), Beyond Europe (7 February 2013). This event invites organised political representation from emerging market countries, Europe and beyond, including delegations from Poland, Romania, Turkey and more. Meet potential partners within the wind industry from across Europe at the international wind matchmaking event supported by the European Enterprise Network. 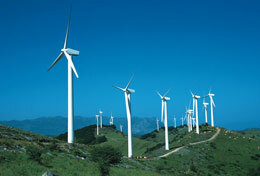 EWEA will launch its new report "Wind Energy Opportunities in Emerging Markets". This detailed study will provide up-to-date information on wind energy potential in 10 European countries.